New furniture can be very expensive. But there’s no reason to spend $1000+ dollars for a great piece when a little paint, new hardware and some sweat equity can produce a gorgeous piece. Plus older furniture has more character and is so well built and often of higher quality than anything you’d find in stores today. 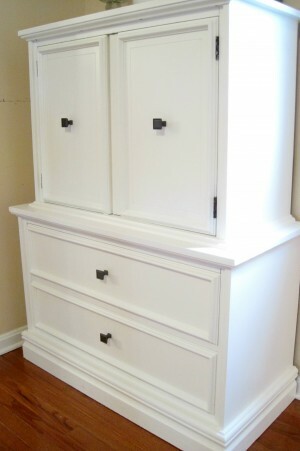 So follow the link to learn how to refinish an old cabinet for a look that’s better than new! Don’t forget to like us on facebook at http://www.facebook.com/DIYFunIdeas to keep up with all the new do-it-yourself fun ideas!